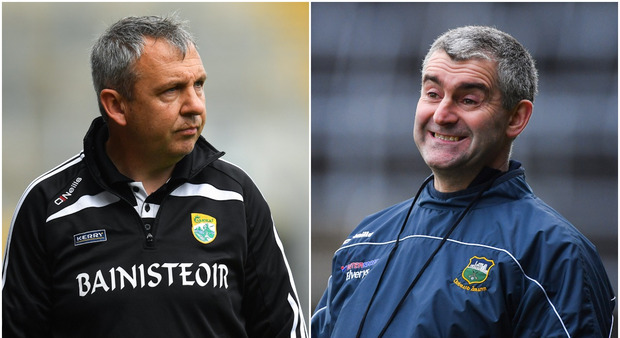 Kerry manager Peter Keane (left) and Tipperary boss Liam Sheedy (right). It's time for the Allianz Football and Hurling Leagues once again and the Throw-In is back for another series of analysis, reaction, interviews and reviews with the journalists and columnists from Independent.ie, the Irish Independent and Sunday Independent. On this week's show, Will Slattery is joined by co-presenter, Michael Verney, as well as Vincent Hogan and Donnchadh Boyle to make their predictions for the Allianz Hurling and Football leagues. It's the hurling though that is setting pulses racing with so many counties with one eye on Liam MacCarthy later in the year. Can Kilkenny make it two League titles in-a-row? Can Tipperary overcome previous psychological damage done to them? And what about Cork, Clare, Galway and of course the reigning All Ireland champions, Limerick? Plus, the camogie league has also started and former Wexford star, Ursula Jacobs, gives her low-down on the counties to watch, though, she says it will be hard to see past Kilkenny and Cork once again. The Throw In is brought to you in association with Allianz.